WOMAN CUT IN HALF by Audrius Novickas will be the opening exhibition at the new location of the Jonas Mekas Visual Arts Center. Audrius Novickas’ newest project, Woman Cut in Half will open on December 9, 2015 at 6PM at the newly relocated Jonas Mekas Visual Arts Center at 8 Malunu St. In Uzupis, Vilnius, Lithuania. Audrius Novickas’ newest project contemplates the mechanisms involved in visual creation that force people to desire and fantasize about war, love and communality. The exhibition explores visual force that hides what is incomprehensible and non-representative. The installation relies on the history of the founding of the Vytautas the Great Museum in Kaunas as a starting point and the background vis a vis the War and Other visuals create a deja vu effect. The identitites of the architecture of this public building and the institutions that reside within – the Vytautas the Great War Museum and the Cultural Museum (now the National M. K. Ciurlionis Art Museum) – are explored as ones that hide the true basis of their origin – a mental state that is one of unconscious emptiness, dearth and loss. 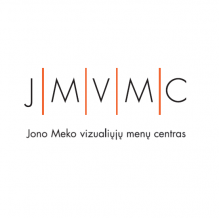 The exhibition runs in conjunction with the move of the Jonas Mekas Visual Arts Center from the Vilniaus Vartai complex to the 8 Malunu St. space. The interim, unstable status of the Jonas Mekas Visual Arts Center with its holdings of the George Maciunas Fluxus collection are reflected in the facilities that have not been completely renovated. Things found there were used to create the installation. “2015 has been a year of change that has presented many challenges and also spurred hope, as well as made us stronger through coping with the unexpected. We are just beginning a new stage in the JMVAC’s life at a new space in Uzupis that has not yet been fully installed. It’s truly a challenge for us and the founders of the JMVAC, but we will continue to host exhibitions, installations and broadcast radio programs. May they all be part of the unexpected”, stated Gintaras Sodeika, the Director of the Jonas Mekas Visual Arts Center. Audrius Novickas was born in 1968 and belongs to that generation of artists born in an independent nation that has formed the language of contemporary art in Lithuania. He completed his art studies at the Prague Visual Arts Academy and over two decades of creativity has had a number of solo exhibitions, participated in international shows both in Lithuania and abroad. The project is supported by the Lithuanian Cultural Support Foundation and the Ministry of Culture of the Republic of Lithuania.